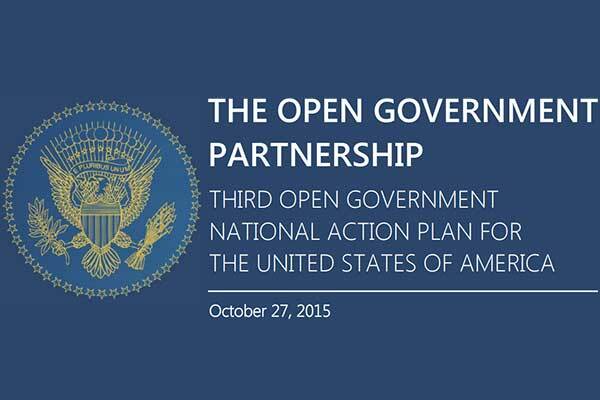 We are proud to announce our commitment to the third U.S. National Action Plan for Open Government, released this week at the Open Government Partnership (OGP) Global Summit in Mexico City, Mexico, and are also eager to share how Public Participation can empower our citizens to have a greater voice and impact in improving their services. In her opening comments at the OGP Summit, Samantha Power, U.S. Ambassador to the United Nations, noted that making a real impact for citizens takes more than a focus on just increasing social media followers or touting simulated performance, and instead we must dedicate digital engagement programs to providing real, meaningful paths to participation. We couldn’t agree more, as this approach highlighted by Ambassador Power is the foundation of our continuing SocialGov efforts with more than 1,000 federal managers across government dedicated to using digital engagement to make measurable improvements to all our services. From emergency management and regulatory development to science and education, better and more meaningful engagement with those who use public services can measurably improve government for everyone. When we developed the first U.S. Public Participation Playbook for the second National Action Plan for Open Government, designed to provide federal agencies best practices and performance metrics to build, improve and evaluate participatory programs, it wasn’t just 70 federal managers from 40 federal programs that signed on to participate. We created an open development process for citizens and civil society with three public contribution rounds, and extended an invitation to the civic coding community to share their contributions. We then applied the lessons and outcomes from this process to help coordinate greater civic participation in the development of the third U.S. National Action Plan for Open Government, providing opportunities for civil society and citizens to meaningfully contribute ideas and consult on how to best implement them. The result is more than 40 new or expanded initiatives to advance the President’s commitment to an open and citizen-centered government. Now, as a commitment to the third U.S. National Action Plan, we are eager to return to the U.S. Public Participation Playbook and not only enhance it with the many contributions and ideas from citizens, but also encourage agencies to use the resource to evaluate and report how it improves their own programs. We also look forward to hosting a series of programs through DigitalGov University in the coming months to highlight different commitments from across government, their progress in implementation, and how these efforts directly impact the people they serve. These are just some of the commitments from our team for the third U.S. National Action Plan for Open Government: to learn more, read the announcements from the White House, on GSA’s contributions and from Data.gov.